"9 meters...7 meters..." PING...PING..PING.PING. "That's inside the room!" 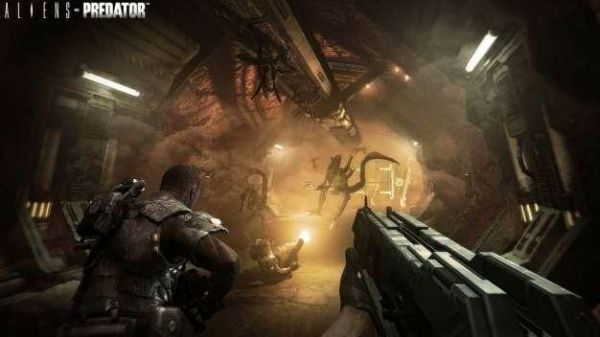 It's a scene made famous by the 1986 movie Aliens, and now it's one we're all going to experience in Aliens vs Predator next month in the game's four player co-op survivor mode. Gamestrailers has video of the mode in action and from all accounts it looks intense as hell. There's plenty of Alien screams, loads of acid blood, and plenty of motion sensor pings to get your heart jumping. Go ahead and check it out, but you might want to leave the lights on. Page created in 0.2280 seconds.